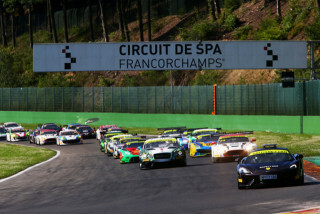 Macmillan Racing grabbed another strong GT-3 podium finish and posted a pair of top finishes in GT-4, at Spa-Francorchamps. 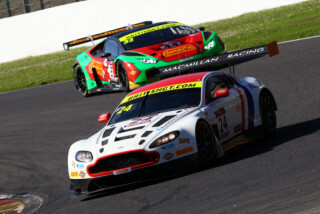 GT-3 Aston Martin V12 Vantage GT3, no24. 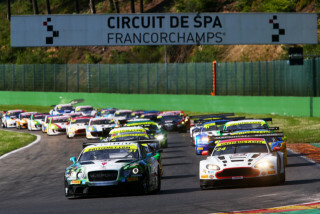 After an excellent run in qualifying, to secure a front-row grid spot, the GT3 team was very hopeful of a good result in the first race at Spa - but it was not to be. Jack Mitchell took the start but spent most of his stint in a queue behind the Safety Car, with two lengthy caution periods triggered by a Lap 2 incident and then a bizarre crash on the re-start. 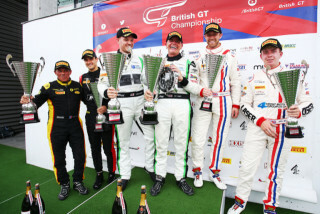 Unable to use the good grid position to negate a 7-second pit-stop penalty for their Silverstone podium, the GT3 duo dropped down the order during the pit-stops, leaving James Littlejohn an uphill task in the second part of the race. A perplexing lack of pace in the car meant that he was unable to make progress and the team took the chequered flag, a disappointed 10th. Jack Mitchell: "It was a relatively easy - but very frustrating - race for me... just following the Safety Car almost all the way. With our pit-stop penalty from Silverstone, we knew we needed to run fast at the front, but there was just no chance of that at all, which really cost us dear." 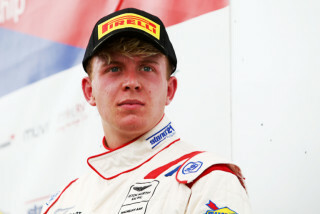 James Littlejohn: "Jack's advantage in pace was wiped out by the Safety Car, so we knew it was going to be a tough race for us, given the 7 seconds we'd lose to most of our rivals during the pit-stops. Unfortunately, that left us with nowhere to go, so it was a pretty disappointing race." 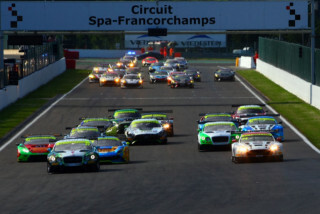 James started the second race in 12th spot, which allowed him to dodge the major Lap 1 pile-up at Les Combes. 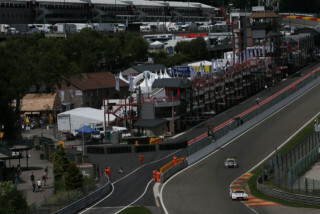 A good, strong stint saw him making up places to the pit-stops, bringing the car in from 6th position. 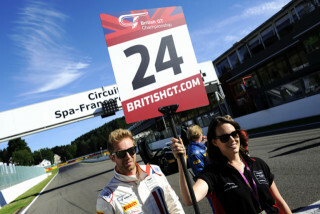 With no pit-stop penalty to serve, Jack was back in the thick of the action in his stint. He had worked his way up to third, looking to make a late-race charge for the top step. 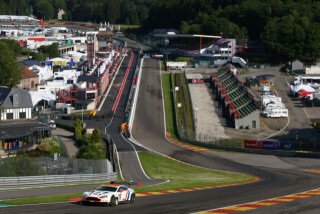 High tyre degradation on the hot, fast Spa circuit proved too much, however and he was forced to settle for his third-placed podium spot - a result that sees the duo maintain third spot in the Championship. 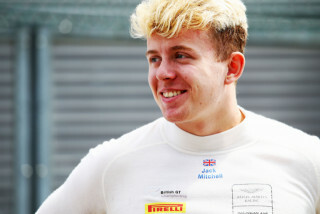 James Littlejohn: "Starting a little further back turned out not to be such a disadvantage, as it meant I was able to avoid the first-lap carnage. I was able to keep the leaders in sight, enjoying a good battle with a non-Championship Audi, while maintaining the tyres as well as possible." 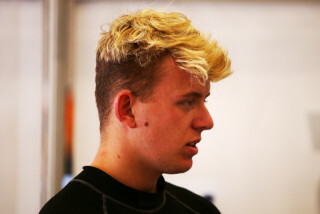 Jack Mitchell: "The car felt a lot better than it had in Race 1, which really gave me the confidence to push. I was hoping to have something left in hand for a final charge but in the closing stages, we were really struggling for grip. A positive end to the weekend, however and another good points haul." David Macmillan, Team Principal: "Spa has a reputation for producing odd races, doesn't it... and it did so again this weekend. 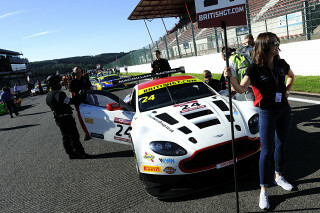 "The GT3 car needed a clear run at the start of Race 1, to try and negate the pit-stop penalty earned after the Silverstone podium, last time but - unfortunately - you don't always get what you want in racing and the lengthy Safety Car periods torpedoed our plans. 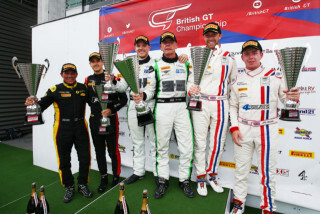 Fortunately, things ran more in our favour in the second race, so Jack and James could capitalise on their speed and claim another podium finish."